To reset your radio you will need a radio code. Your local Honda dealer will need the Serial Number from the radio (and later the Vehicle Identification Number) to access Honda's database for radio codes. NOTE: If your vehicle has navigation, your radio must be reset at a Honda dealership. 1. YOU WILL NEED PEN AND PAPER OR A DEVICE TO RECORD THE SERIAL NUMBER ONCE YOU HAVE ACQUIRED IT FROM YOUR RADIO. 2. TURN THE VEHICLE IGNITION SWITCH OR USE THE START BUTTON TO PUT THE VEHICLE IN THE AUXILIARY (NOT THE START OR RUN) POSITION. 4. PRESS AND HOLD THE RADIO BUTTONS ONE (1) AND SIX (6) TOGETHER WITH ONE HAND. 5. WHILE HOLDING BUTTONS 1 & 6 TURN THE RADIO ON WITH YOUR FREE HAND. 7. ONCE THAT SERIAL NUMBER IS DISPLAYED RELEASE BUTTONS 1 & 6 AND WRITE DOWN OR RECORD THE 8 DIGIT SERIAL NUMBER TO USE LATER. 8. TO ACCESS AND RETRIEVE AND RETURN YOUR RADIO CODE TO YOU, YOUR LOCAL HONDA DEALER WILL ALSO NEED THE SEVENTEEN (17) DIGIT VEHICLE IDENTIFICATION NUMBER (This 17 digit serial number is on a sticker on the driver's center pillar post, and on the driver's side of the dashboard visible under the windshield glass, also on your vehicle registration, and your insurance card). NEXT CONTACT YOUR LOCAL HONDA DEALER WITH THE 17 DIGIT VEHICLE IDENTIFICATION NUMBER AND THE 8 DIGIT RADIO SERIAL NUMBER . 9. 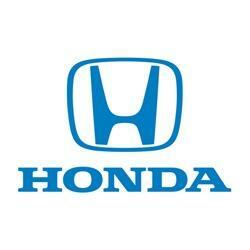 ONCE YOU HAVE OBTAINED THE 5 DIGIT RADIO CODE FROM YOUR LOCAL HONDA DEALER GO TO THE VEHICLE. 10. TURN THE VEHICLE IGNITION SWITCH OR USE THE START BUTTON TO PUT THE VEHICLE IN THE AUXILIARY (NOT THE START OR RUN) POSITION. 11. TURN THE RADIO ON. THE RADIO SHOULD DISPLAY THE WORD "CODE". If the radio displays and error (ERR) message, disconnect the black negative under hood battery cable for 1 to 3 minutes to reset the system). TURN THE RADIO BACK ON AND LOOK FOR THE WORD "CODE". ENTER THE 5 DIGIT RADIO CODE. THE RADIO SHOULD COME BACK ON.